1. Santangelo L, Giurato G, Cicchini C, Montaldo C, Mancone C, Tarallo R, Battistelli C, Alonzi T, Weisz A, and Tripodi M. The RNA-Binding Protein SYNCRIP Is a Component of the Hepatocyte Exosomal Machinery Controlling MicroRNA Sorting. (2016). Cell Reports 17(3): 799-808. 2. 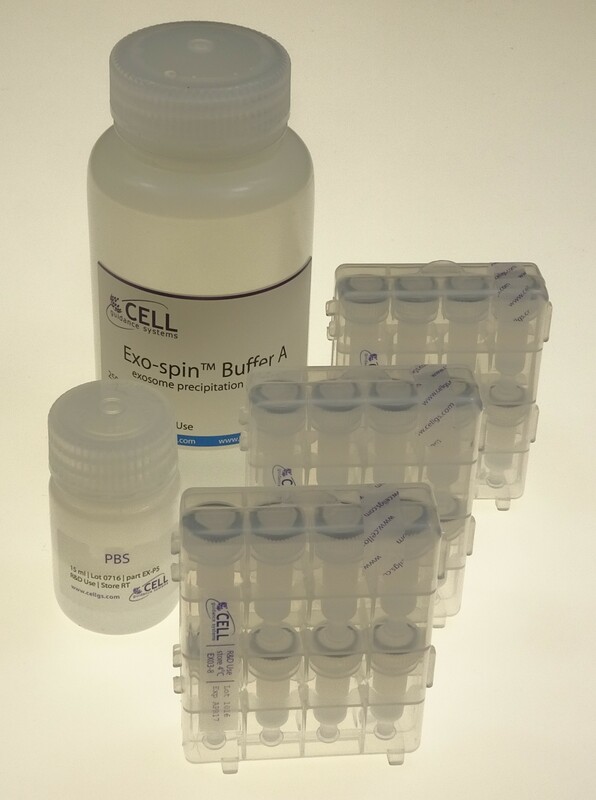 Welton JL, Webber JP, Botos LA, Jones M, Clayton A. Ready-made chromatography columns for extracellular vesicle isolation from plasma. (2015). J Extracellular Vesicles 4: 27269. 3. 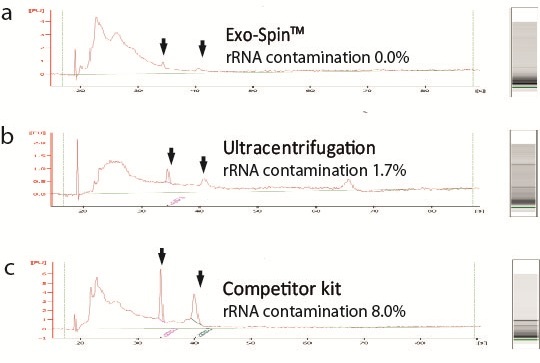 Lane RE, Korbie D, Anderson W, Vaidyanathan R, Trau M. Analysis of exosome purification methods using a model liposome system and tunable-resistive pulse sensing. (2015). Scientific Reports 5: 7639. 4. Kojima R et al. Designer exosomes produced by implanted cells intracerebrally deliver therapeutic cargo for Parkinson’s disease treatment. (2018). Nature Communications 9:1305. 5. Piao YJ et al. Breast cancer cell-derived exosomes and macrophage polarization are associated with lymph node metastasis. (2018). Oncotarget 9(7): 7398-7410. 6. Ghazizadeha E et al. A fires novel report of exosomal electrochemical sensor for sensing micro RNAs by using multi covalent attachment p19 with high sensitivity. (2018). Biosensors and Bioelectronic 113:74-81. 7. Soares Martins T et al. 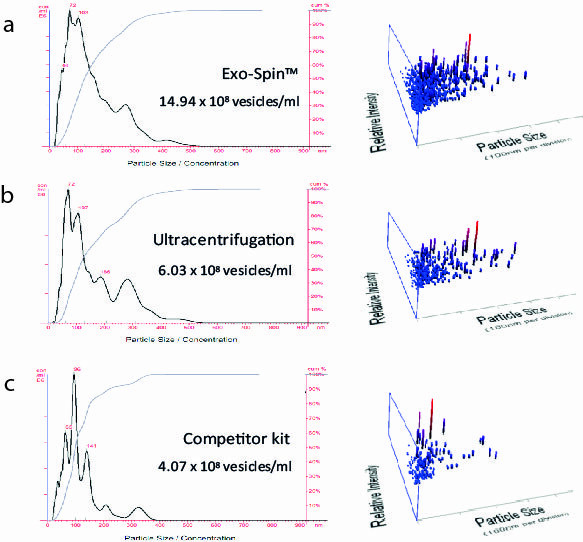 Exosome isolation from distinct biofluids using precipitation and column-based approaches. (2018). PLOS ONE 13(6): e0198820.